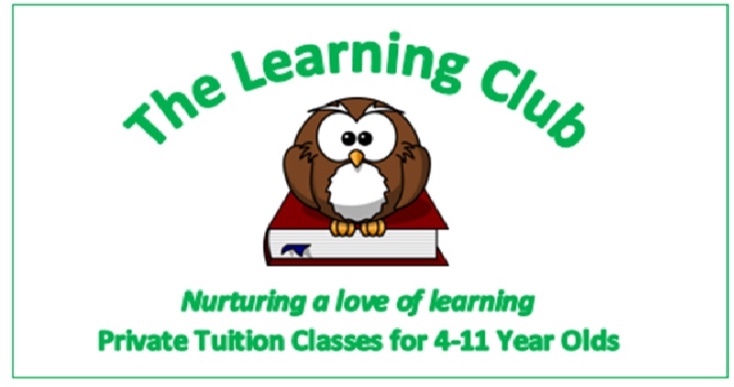 The Learning Club aims to nurture a love of learning through offering the highest quality private Maths and English tuition for primary school pupils. The small classes take place in a room specifically set up for tuition within a family home in Reigate, providing a welcoming and relaxed atmosphere. Lessons at The Learning Club are taught by an enthusiastic, patient and engaging primary school teacher with 5 years of teaching experience within the Early Years, Key Stage 1 and Key Stage 2. The Learning Club strives to nurture a love of learning and therefore classes are taught in a fun and motivating way that children enjoy and look forward to attending. Additionally, tuition is specifically tailored to each child’s learning needs and every class is planned to support each child. The Learning Club offers small group tuition classes for pupils aged between 4-11 years old which are 1 hour long. Classes focus on either Maths or English and aim to provide extra support and confidence building for Reception, Key Stage 1 and Key Stage 2 children. Currently classes run after school and on Saturday and Sunday mornings, during school terms. Classes cost £25 per session or £20 per session if 6 or more lessons are booked at once. The initial class is FREE as trial session. Contact The Learning Club today for more information or to book your FREE trial class! Contact The Learning Club today to book your FREE, no obligation, trial class! Lovat Energy Savers in partnership with Switched on Energy provide professional brokering services for business and domestic customers with hundreds of satisfied customers across the UK with regards to your Energy supplier. You will receive the cheapest gas and electricity contracts for your business from nearly 30 energy providers Follow us on Social Media.